I have always had a fascination for abandoned places. I’m not exactly sure how or when this fascination first arose. There are plenty of places where my initial interest could have been piqued – the empty warehouses of London’s Docklands in the 1980s; a semi-derelict roadstone processing plant in Cornwall; an abandoned hospital near my grandparents’ cottage; a forgotten garage near my own house which was chock full of dusty old furniture … If I think about it, there are umpteen possible starting points. But it’s a fascination which has never waned. 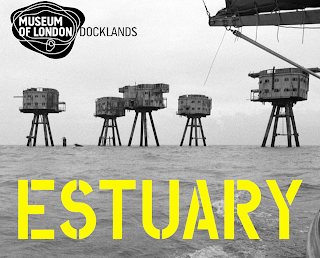 Last Saturday I visited The Museum of London Docklands’ current ‘Estuary’ exhibition and found myself completely absorbed for an afternoon in a series of artworks (several of which were slideshows or video installations) which chart the flow of the River Thames to its lowest reaches where it meets the open sea. The exhibition is a fascinating meditation on machinery, mudflats, and the ever changing tides of time and history. One particular piece which hooked me was a 30 minute twin screen slideshow by the artist Stephen Turner, titled ‘Seafort Project, 2005’. 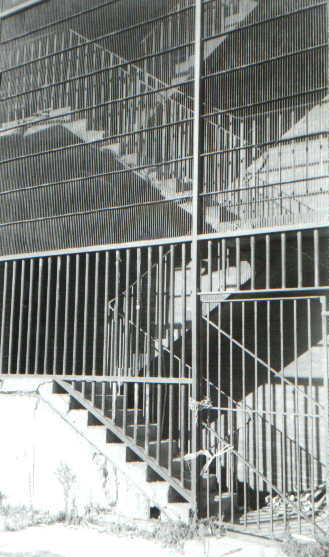 During the late summer of that year he took up residence entirely alone on one of the old rusting towers of the Maunsell Fort at Shivering Sands for 36 days, photographing the place and penning a kind of diary of his ‘artistic exploration of isolation.’ His 36 days apparently paralleled the average length of a tour of duty on the seafort during the Second World War. Long since abandoned they now stand as strange, beguiling rusty metal boxes on legs, almost unworldly – like something out of a John Christopher novel or the stilled sentinels of H.G. Wells’ War of the Worlds. Clearly I’m not the only one with a fascination for these kinds of odd and abandoned relics. Relics and ruins are certainly my thing – that’s how I ended up studying history and working in archaeology. My fascination with history started when I was young, my grandfather and I used to go out hunting for old abandoned Second World War ‘pillboxes.’ It’s a hobby I’ve not given up. I regularly find myself playing ‘I Spy’ out of car or train windows, spotting the squat little concrete buildings with their rifle peepholes hiding at the bends of roads or perched discretely beside bridges on railway embankments. I even found some in the hills around Taipei and nearly got into trouble when peeping into one I discovered evidence that Taiwanese soldiers were still actively using some! There’s undoubtedly (for certain types of people) a kind of mesmeric allure surrounding ruins and relics – modern, industrial ruins in particular have a distinctive atmosphere – they are forlornly evocative of corroding past worlds, of global war, or past visions of nuclear fallout, and, as such, they might seem like sounding boards for the echoes of future dystopias brought on by impending environmental disasters. Such things – real or imagined – think of Chernobyl or Fukushima, the novels of J.G. Ballard or even Pixar’s Wall.E. 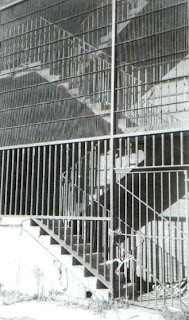 What captivates the mind about these places is the lingering memory ghosts which seem to inhabit their former realities. We peer gingerly into them, wondering what kind of places they were, imagining what they were once like, trying to see the people within their empty and forsaken hollow shells. These are potent places, perhaps because they are not too far removed in time. They remain tangible to the imagination in a way which older, more distant ruins often aren’t – possibly because they are more often left largely intact. The connections are often more visceral. They are a kind of paradise for the rampant historical or futuristic imagination – which is to say nothing of the added frisson which might come from the fact that these sorts of places might not necessarily be open to proper public perusal. When I was living in Japan quite by chance I came across a book of photographs of a place which must surely be the embodiment of every dedicated ‘UrbEx’ adventurer’s El Dorado: Hashima (端島). Located around 9 miles off the coast of Nagasaki. Hashima is also known as Gunkanjima (軍艦島), ‘battleship island’, because it is a rocky outcrop which had once been completely urbanised by a mining community – every inch of the island had been built upon – and so when viewed on the horizon the island looks rather reminiscent of an old ironclad warship. The island is now completely uninhabited. Its apartment blocks stand empty, filled with decaying TV sets and rotting furniture; rusty bicycles still stand propped against peeling walls in weed infested, rubbish strewn streets. There was no disaster here, the place was simply abandoned when the mining operation closed down in 1974, but it now looks rather like a world abandoned in an unexplained rush. These days the odd tour party occasionally lands there and reconnoitres this derelict world – photos taken by these visitors are increasingly being disseminated via books, such as the one I stumbled upon, or websites. I suppose the Maunsell Forts are Britain’s equivalent of Gunkanjima, an abandoned and isolated world, lost somewhere out at sea. 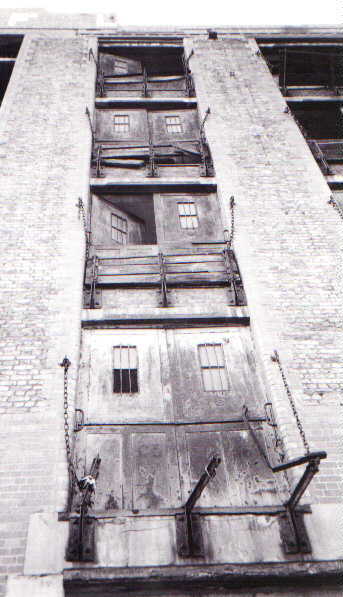 These pockets of forgotten time which such places embody appeal to an aesthetic sense of desolation too. Discovering and exploring such places is often a quest for empty presences. 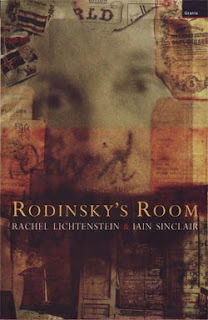 Rachel Lichtenstein and Ian Sinclair’s chronicle and meditation on the abandoned room of David Rodinsky (first published in 1999) is a masterful and moving example. Cities are endless labyrinths for the inquisitive individual. For me, urban exploration is a natural extension of my historical, anthropological, and archaeological curiosity. It’s all about seeking out the unseen and the forgotten, a process of re-finding and re-informing. * See: Steve Duncan ‘Urban Spelunking’ in Geographical Magazine, (July 2012), pp. 65-68. 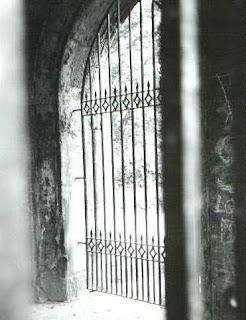 The photos accompanying this post were taken by me in various places between 1999-2009: Abney Park Cemetery, Stoke Newington, London; Butler’s Wharf, London; Collapsed building and an abandoned fairground in Dajeon, South Korea; Concrete Tunnel, near Taipei; Dilapidated building, Macao (n.b. - NOT Gunkanjima! ); Overgrown house, Osaka. UPDATE: If you fancy trying the ultimate in "armchair urban exploring" here's a link to get truly lost in: Hashima/Gunkanjima on Google Streetview - hours of fun 行きましょう!